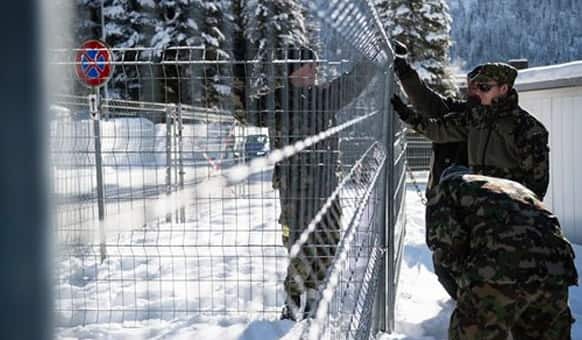 Member sof the Swiss army prepare fences prior to a media information of the Swiss army and the police of the Canton of Grisons about security measures. 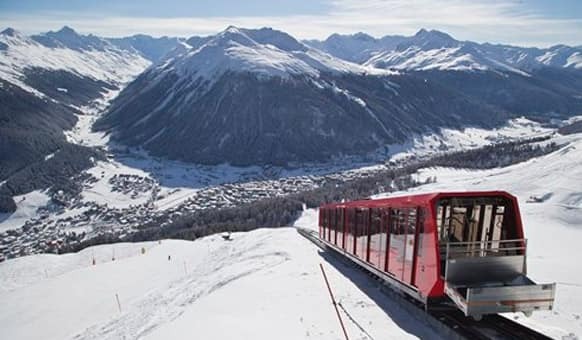 A cable train makes its way up the Weissfluhjoch mountain in Davos, Switzerland, Monday, Jan. 19, 2015. 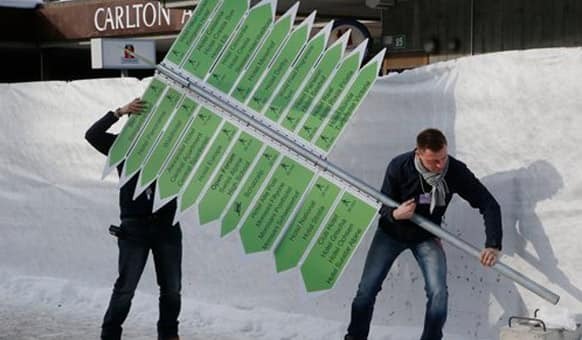 Technicians setting up signs outside the Congress Hall in Davos, Switzerland, Monday, Jan. 19, 2015. 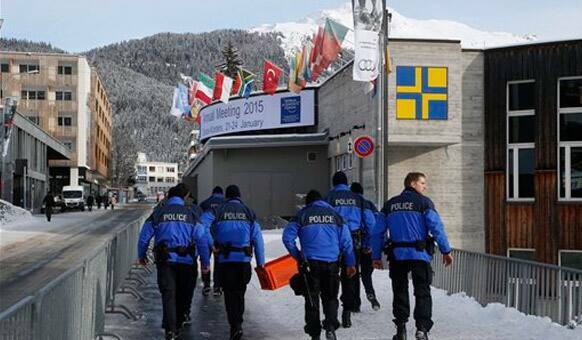 Swiss police officers walk past the Congress Hall in Davos, Switzerland, Monday, Jan. 19, 2015. 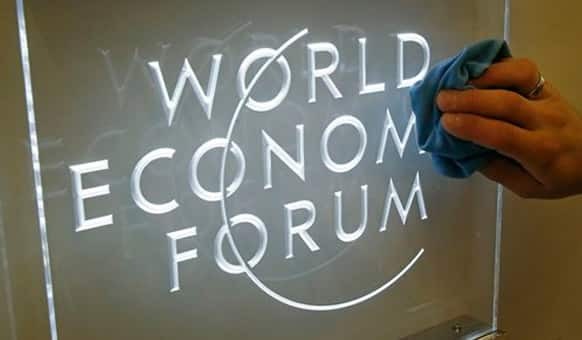 An employee cleans the logo at the Congress Hall in Davos, Switzerland, Monday, Jan. 19, 2015. 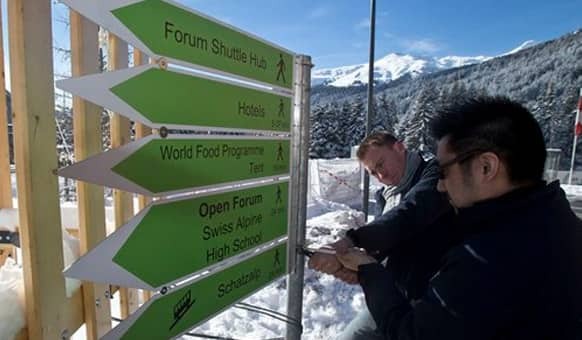 People walk inside the Congress Hall in Davos, Switzerland, Monday, Jan. 19, 2015. 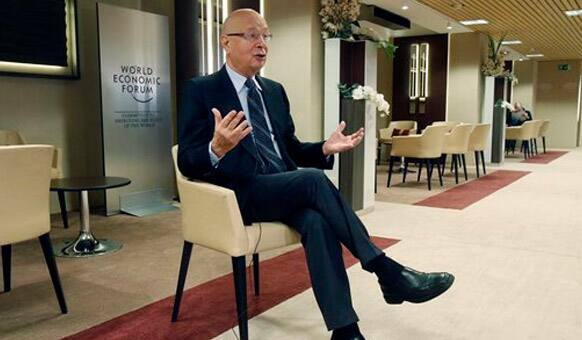 President and Founder of the World Economic Forum Klaus Schwab gestures as he speaks during an interview with the Associated Press in Davos, Switzerland, Monday, Jan. 19, 2015. 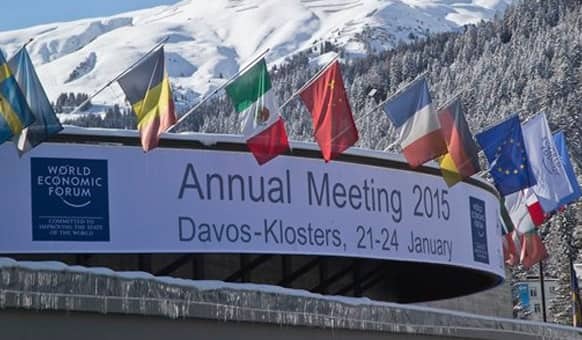 Flags hang on the roof of the Congress Hall were the World Economic Forum will take place in Davos, Switzerland, Monday, Jan. 19, 2015. 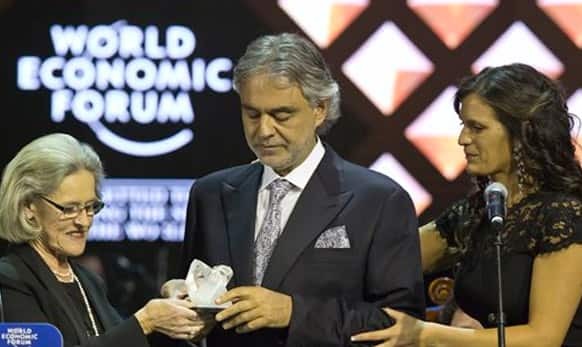 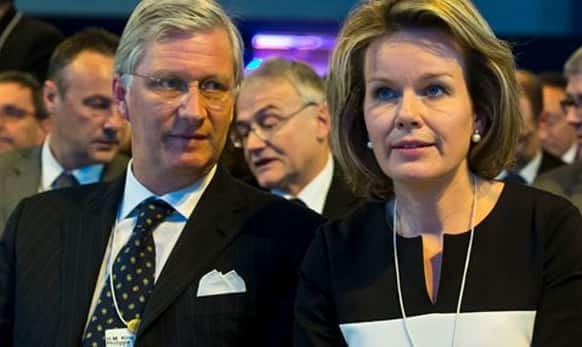 Hilde Schwab, left, hands over the trophy to Italian singer Andrea Bocelli , center, while his wife Veronica Berti guides him during the Cristal Award ceremony at the WEF. 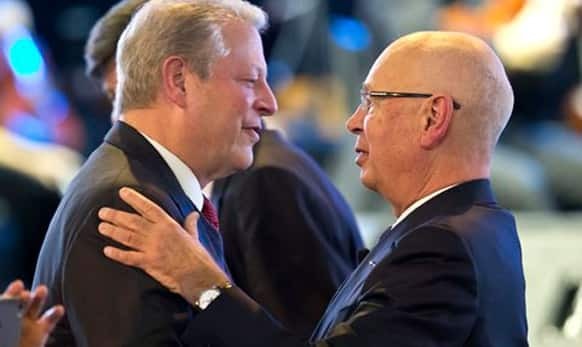 Former U.S Vice President Al Gore, is greeted by President and founder of the World Economic Forum Klaus Schwab during the Cristal Award of the WEF. 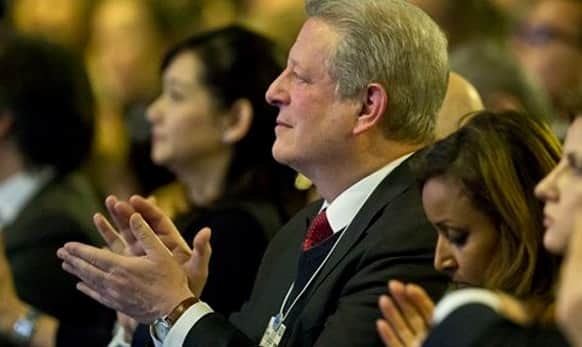 Former U.S Vice President Al Gore applauds during the Cristal Award of the World Economic Forum in Davos, Switzerland, Tuesday, Jan. 20, 2015. 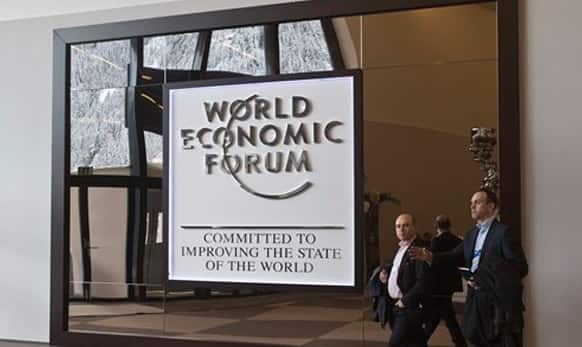 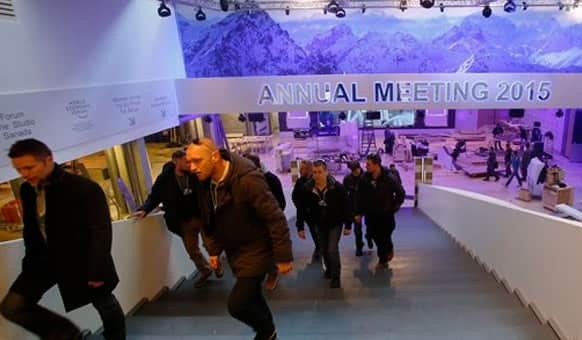 Participants walk in the main entrance hall of the Congress Center the day before the opening of the annual meeting of the World Economic Forum in Davos, Switzerland, Tuesday, Jan. 20, 2015. 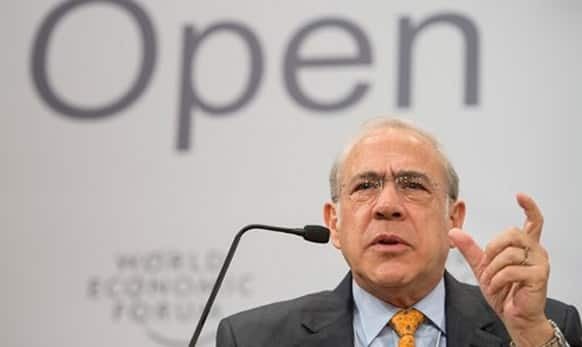 Jose Angel Gurria, Secretary-General of the Organisation for Economic Co-operation and Development (OECD), speaks during the "Open Forum". 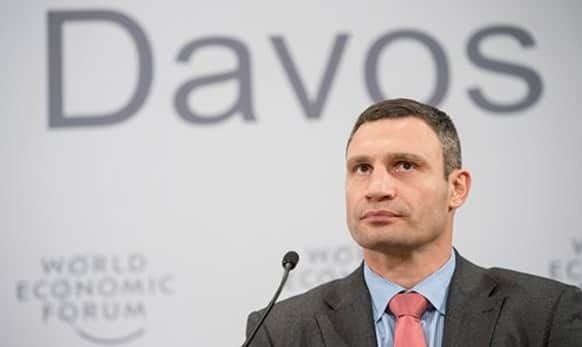 Vitali Klitschko, Mayor of Kiev in Ukraine, speaks during the "Open Forum" on the sideline of the 45th Annual Meeting of the World Economic Forum. 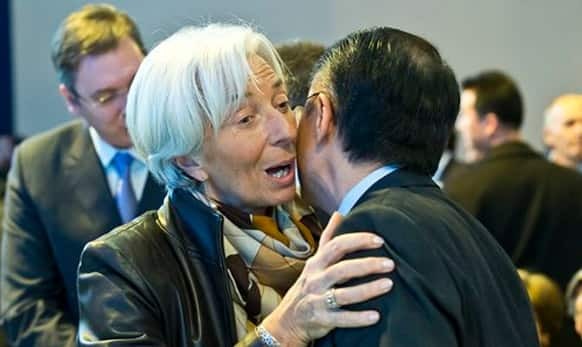 Managing Director of the International Monetary Fund Christine Lagarde, left, greets World Bank President Jim Yong Kim during the World Economic Forum in Davos. 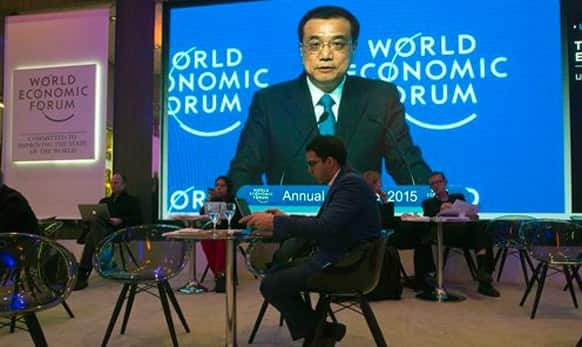 Chinese Premier Li Keqiang is seen on a screen while participants check their computers during the World Economic Forum in Davos, Switzerland, Wednesday, Jan. 21, 2015.